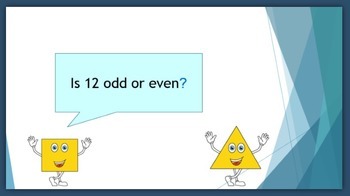 This PowerPoint slideshow is fully-animated. Just click and go. 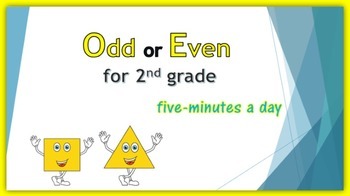 Five minutes long for a quick math warm-up on odd and even numbers. 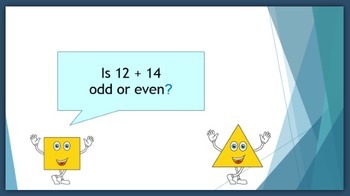 Students have five seconds to solve a problem, and then the answer pops up. Immediate feedback! 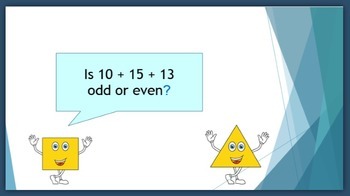 40 problems and their answers: one-digit, two-digit, add two numbers, and add three numbers.